3 Mistakes Parents Make in Estate Plans | The Levin Law Firm - Philip Levin, Esq. 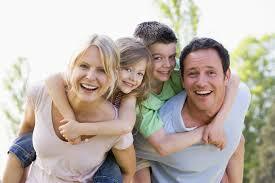 Family structures have evolved beyond the nuclear family unit over the past few decades. 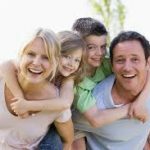 With notable rates of divorce and re-marriage, “Blended Families” are now very common and many of our clients serve in the role of step-parents and co-parents. For many remarried individuals, estate planning decisions must take into account not only one’s biological children, but also step-children, future children, or a new spouse. 1. Joint Accounts. Aging parents often include an adult child as a signatory on an account to help manage finances. Sometimes the account owner does not clearly define the change to the account and, rather than designate the child as co-signatory, instead names the child as joint owner. Several problems can occur with a joint account owned by an adult child and elderly parent. First, if the child becomes the defendant in a lawsuit, the assets held in the account could become vulnerable to a judgment. Second, adding a child to an account could cause family conflict if one sibling is chosen over another. Third, if not planned for properly, an adult child jointly owning an account with a parent generally receives all account assets upon the other owner’s (the parent’s) death. If the parent intended to provide for multiple children with the assets in that account, this planning move fails to satisfy that goal and effectively disinherits the other siblings. A better planning technique would involve designating an adult child as Attorney in Fact under a Durable Financial Power of Attorney. A Durable POA allows an individual to grant another person authority over financial affairs, including the management of property, insurance, taxes, and other matters should our client become ill, injured, incapacitated, or incompetent.Alternatively, assets intended for multiple children can be held in a Trust wherein the children are designated as the beneficiaries. Thus, the parent can ensure that their children each receive a share of the asset, while appointing a Successor Trustee to manage their assets should the parent become incapacitated. 2. Beneficiary Designations. Parents should consider several factors before designating a child as the beneficiary of a retirement account, life insurance policy, annuity, or other asset. Assets that might transfer to one or more minor children create complications and require court appointment of a legal Guardian to manage assets for a minor until the child attains age eighteen, the legal age of majority in Pennsylvania, and many other states. For example, if minor children inherit an IRA, they will not have the legal ability or authority to manage Required Minimum Distributions, which must start one (1) year following the account owner’s death. The result may be imposition of a 50% penalty on the shortfall, for failure to take minimum distributions. Other mistakes parents might make include failing to include all of their children on beneficiary designation forms or neglecting to update beneficiary designation forms with their custodian to reflect new children, whether through birth, adoption, or re-marriage. Any divorced parent should review their beneficiary designation changes with an estate planning attorney to ensure that their assets intended for distribution to children or a new spouse are not unintentionally left to a former spouse. In Pennsylvania, and other states, provisions in a Will that disinherit a former spouse are ineffective if the beneficiary designations on file with IRA custodians, life insurance carriers, and employee benefit administrators still name the ex-spouse as the designated beneficiary. 3. 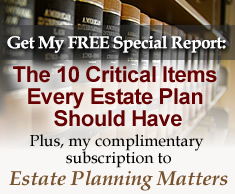 No Estate Plan. Delaying creation of an estate plan, or not updating an estate plan to address children’s inheritance often results in the parents’ wishes not being carried out. Furthermore, parents of children who have not yet reached the age of majority should address the appointment of both a Personal and Financial Guardian in their estate plans. Guardianship terminates at age eighteen (18) in Pennsylvania and if the parent did not include specific wishes in their estate plan for appointment of a Guardian for minor children, such decision will be made through a Court process. When a client has established a valid Will which appoints a Guardian, the Court typically appoints the individual nominated by the parent if a provision is included in the parent’s Will. A comprehensive estate plan can help families address important issues, ensure loved ones are provided for in the proper manner, and minimize family conflicts and complexity. An individual becoming a parent for the first time has different estate planning needs than one who wants to provide for adult children later in life. For example, an aging parent with adult children will not be concerned with guardianship issues, but will often have elder care planning decisions to decide, along with preserving assets for children. Create a dialogue with your clients to shed light on their legitimate concerns, and encourage them to discuss these vitally important matters with an experienced estate planning attorney. To discuss your wealth transfer planning needs and arrange a Complimentary Consultation with estate planning attorney Phil Levin, Esq., please call The Levin Law Firm at (610) 977-2443.